Some of you may have known that one of my interest in the field of Fertility is the impact of Nutrition on Fertility & Pregnancy. Some of the research work which I am involved in surrounds this unique aspect of Fertility. Recently, I was invited to speak to a group of O& G and Paediatric doctors on this topic. 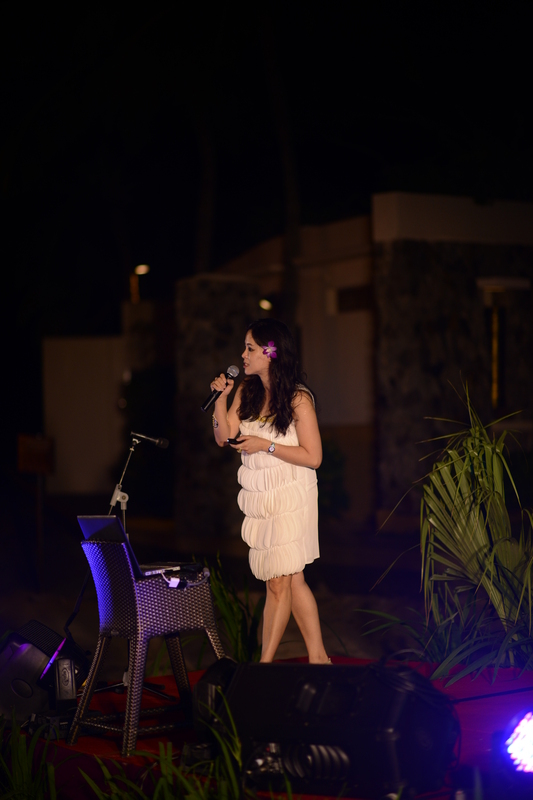 The most interesting thing is that I was asked to speak on a platform erected on a beach and my dress code was white and a flower in my hair!!!! So, the picture above was definitely NOT a singing contest but a actual scientific lecture. In this post, I’ll discuss another topic related to fertility and nutrition – the findings of the Dutch Famine Birth Cohort Study. Prior to the study, very little was known about the role and effects of a maternal diet on a baby’s health. However, using the medical records collected during the famine, scientists have been able to measure the adverse effects of fetal malnutrition. The Dutch famine of 1944, also known as “Hunger winter,” was a famine that took place in the Nazi-occupied part of the Netherlands. Affecting some 4.5 million people, the famine was caused by the shortage of food supplies in the Netherlands towards the end of World War II. Although the Allied Forces had liberated the south, their efforts to free the western parts of the Netherlands were repeatedly thwarted, worsening the situation. This was followed by the Nazi embargo on all food transport to western Netherlands and the onset of an unusually early and harsh winter. During the period, which lasted until the Allies liberated the area in May 1945, rations were as low as 400-800 calories a day. This is less than a quarter of the recommended adult caloric intake. Though estimations vary, as many as 22,000 people are believed to have died due to the famine. The Dutch Famine Birth Cohort Study was conducted by the departments of Clinical Epidemiology and Biostatistics, Gynecology and Obstetrics and Internal Medicine of the Academic Medical Centre in Amsterdam, in collaboration with the MRC Environmental Epidemiology Unit of the University of Southampton in Britain. They based their study on the antenatal and maternity records of babies born at the Wilhelmina Gasthuis in Amsterdam between November 1943 and February 1947. The first results of the study were published in 1976 and the study is still ongoing. The children of pregnant women exposed to famine were more susceptible to diabetes, obesity, cardiovascular disease, microalbuminuria and other health problems. The children were smaller and their children were also thought to also be smaller than average. Early gestation appeared to be the most vulnerable period. Children affected in the second trimester of their mother’s pregnancy had an increased incidence of schizophrenia and neurological defects. Famine exposure in utero causes transgenerational effects. The effects of famine varied according to its timing during gestation, especially during critical periods of organ and tissue development. Undernutrition during any period of gestation is associated with reduced glucose tolerance and raised insulin concentrations at age 50 and 58. People exposed to famine in mid gestation had an increased prevalence of obstructive airways disease. 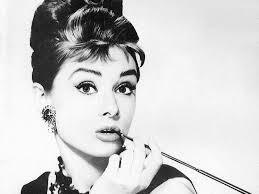 The most well-known survivor of the Dutch famine is perhaps Audrey Hepburn. Often admired for her gamine figure, Hepburn spent her childhood in the Netherlands during the famine. Throughout her life, she suffered from a series of health problems, including anemia, respiratory illnesses, edema and clinical depression, which were attributed to the malnutrition suffered in her early years. The Dutch famine study has shown us that poor maternal nutrition during gestation can have detrimental effects on the health of children and even subsequent generations. Therefore, we cannot ignore the importance of maternal nutrition during pregnancy, especially in preventing chronic degenerative diseases in future generations. We must also be wary of the possible detrimental consequences of undernourishment in mothers due to unbalanced diets, rigorous fasting and severe morning sickness, especially during the first trimester. This entry was posted in Nutrition for Fertility, Nutrition for Pregnancy and tagged Fertility, Nutrition, pregnancy. Bookmark the permalink.